Most people have heard of a will and generally understand what the document accomplishes, but they have never obtained one for themselves. Thinking about how their assets will be distributed is usually a question left for a future time. The reality is there is no better time than the present. If something were to happen to you or your loved ones, would you be prepared to have your estate subject to the default laws of taxation and distribution, leaving your loved ones behind with little control over how the process unfolds? Would your family be prepared to handle the burden and consequences that would arise from you not properly planning for your future? Control your assets. When you die with a will, you have control over who receives your assets. 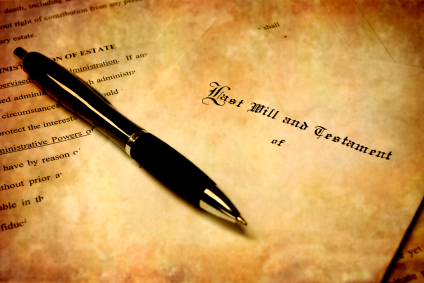 If you do not write a will, the state effective writes a will for you through the laws of intestacy. This default will may not align with your goals and needs, and may create chaos and uncertainty in administering and distributing your estate. Selective Distribution. Not only do you have control over who receives your assets, you have control over how the assets are distributed, allowing you to provide for your heirs as you deem best. Caring for Minor Children. A will allows you to nominate a guardian for your minor children, providing a safe and secure caregiver for them should something happen to you and/or your spouse. End of Life Decisions. Wills allow you to provide instructions on whether and how medical treatment should be administered when life-sustaining treatment is necessary. A living will allows you to direct which life-sustaining treatments can be used, withheld or withdrawn. See also Durable Power of Attorney. Charitable Giving. When you write a will and give to charitable organizations, not only do you receive favorable tax benefits, but you also get to choose the charity or organization that suits your goals and desires. See also Charitable Planning. Security. The bottom line is having a Will provides you the security and assurance your family needs when your family needs it most. At Ogden Law Firm, PC, we can provide you what no website or automated document drafting service can: a relationship. We provide a personal professional relationship and are attentive to the individual circumstances and needs of your situation. No document drafting website, such as Legalzoom.com or any other paralegal service can provide you with the safety and security you need for your family’s future. Paralegal services are not attorney services, nor do they establish an attorney-client relationship. They make sure to include in fine print that they are not responsible if something goes wrong. At Ogden Law Firm, PC, we make sure that your estate plan avoids such problems and take every precaution to protect you and your family’s future. Paralegal services or do-it-yourself services are no substitute for the careful, attentive, personal and professional service relationships Ogden Law Firm, PC can provide. Do I Only Need a Will? While there are many benefits of having a will, having only a will in your estate plan can cause problems. For example, just because you have a will does not mean that you can avoid probate entirely. In addition, a will can be contested more easily than a Revocable Living Trust can by one of the people who are named to receive assets under the will. Moreover, if you move to another state, your will might not be effective. Therefore, proper estate planning includes not only a will but also other aspects of Estate Planning, such as including the various types of Trusts, Advanced Health Care Directives, Durable Powers of Attorney, and giving careful thought to estate and gift tax consequences to the plan. Thus, having a will that works in conjunction with other instruments and tax planning could provide you with the safest and surest way to ease the transition of your assets. If you have questions, contact us today for an initial consultation.